Like a lot of you, I have been trying many different products among the years, but these are the ones I swear by now. 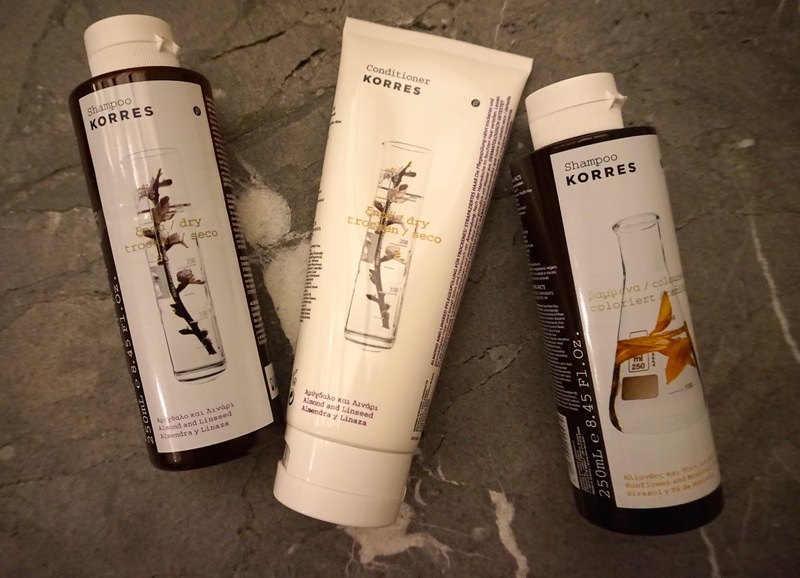 Last year I discovered Korres Hair line products and I love them. The ones I am using now is Almond and linseed shampoo and Sunflower & mountain tea. The conditioner is also Almond and linseed. I try to apply a mask at least twice a week. I bought the one from Pantene in my trip to Tenerife. It was really cheap and it leaves my hair smooth and hydrated. I love the hair mask from Moroccan Oil. This one is enriched with argan oil and it smells so good too! and the days when my hair gets a bit static from wool sweaters or so. I use my shampoo BC Bonacure from Schwarzkopf Professional from time to time. This one cleanses my scalp deeply from the use of sprays, dry shampoo and other hair products. it gives volume and is amazing to wear when I don't have half an hour to fix my hair. Hope you like this post guys!